Thank you to the author, LJ Ross, for providing me a copy of this book in return for an honest review. Heavenfield is the third book in the DCI Ryan series, that I have grown to love so much. Set in Newcastle, Heavenfield brings us back all of the character that we know and love from the previous two installments. The book starts with a man being found dead by DCI Ryan in a remote church, known as Heavenfield. As DCI Ryan is the only person for miles around, he soon finds himself arrested in suspicion of murder. Add this to the trouble Ryan in already in from a previous investigation, which led to him being suspended from his job, and things are not looking good for the police officer. Not only does Ryan have to fight to clear his name, but also to try to bring whoever is committing the crimes around him to justice. But when the person who is committing all of the murders that have been happening in the area, sets their sights on Ryan being the next victim, Ryan and his team have to work fast to try to uncover just who is executing all of the murders and if they can be stopped before they take another victim. I fell in love with this series when I read the first two books, so I'm not sure what kept me from reading this book for so long. Heavenfield is every bit as good as Holy Island and Sycamore Gap, with twists and turns thrown in along the way to keep you guessing. The minute I opened this book, it's like a hand popped out the page, grabbed me and pulled me into the book! I lived every bit of this book, and what a rollercoaster of a journey it is. Just when I thought I had all of the pieces of the puzzle put together something happened in the book that proved me wrong. My brain was working overtime trying to guess what was going to happen, and no matter how many guesses I made, I never came anywhere near close to the truth. While Heavenfield can be read as stand alone, I highly suggest that you read Holy Island and Sycamore Gap first so that you can really the series. After reading this book in less than twenty four hours, it is easy to see why this series is doing so well and is getting such great reviews. 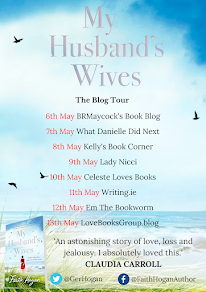 LJ Ross is one of the most talented crime writers that I have come across, with her ability to keep you on the edge of your seat and always coming up with a nail biting final chapter. Everything about this novel was a winner, the pace was perfectly set and the tone of story is dark and mysterious, even though there are some moments when I couldn't help but smile. What hits me the most about these novels though, is how the author can pick a location and describe it so very well in her writing. A simple google took me to images of the church and the area and they are just what I imagined them to be. The fact that these novels are set in such remote places really sets the scene for the story and this along with the characters, make this novel and the series a true winner. Not only this instalment, but the whole series is full of mystery, wonder and suspense and is truly one of the best series that I have ever had the pleasure of reading. I can't to sink my teeth into the next two instalments of the DCI Ryan series to see what twists and turns await me. 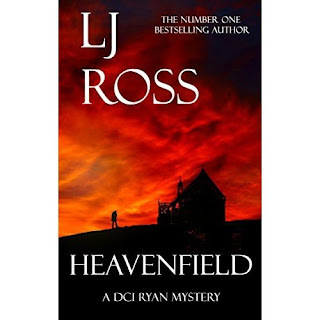 Heavenfield is a fast paced, crime thriller that will keep you on the edge of your seat from the very beginning to the nail biting end. I really cannot recommend this series enough. You can but the book here.